The Los Angeles Lakers’ future was in a bit of disarray as a tumultuous season came to a close and with concerns about LeBron James’ focus growing. After Tuesday night, that disarray just doubled. 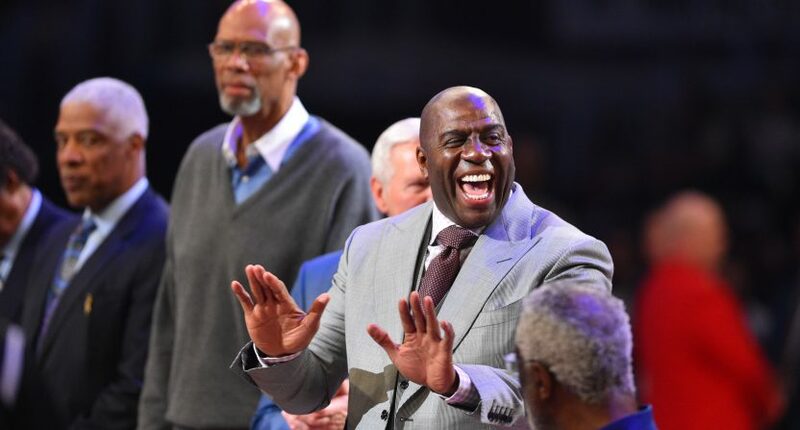 Seemingly out of nowhere, Magic Johnson announced that he was stepping down as the President of Basketball Operations for the Lakers after a little over two years on the job. Not only did he announce the news at an impromptu press conference right before the team’s season finale, but he also made it public before apparently telling team owner Jeanie Buss. On Jeanie: “I think she’s going to be caught off guard. And I think she’ll be hurt by not having somebody she can trust…” Says once she sees his face she’ll understand this was the right decision for him. Johnson noted in his announcement that he wanted to preserve the relationship he has with Buss and that he seemed to want to be more of an ambassador to the game than being forced into the role that comes with being an executive for one club. He also started rambling a bit about how some of the instances that have come up during his stint on the job have ruffled his feathers over the way he’s been perceived. It certainly sounds like Johnson had tired of being perceived as a poor executive who wasn’t able to put a winning roster around LeBron James and seemed to get rebuked at every turn as he attempted to bring other stars to the Lakers. It is perhaps not a coincidence that The Athletic released a story earlier today about the ineptitude of Johnson’s latest run with the Lakers, which paints him as an absentee exec who didn’t commit fully to the job and didn’t put in the work needed to keep his team competitive. In a way, it seems as though Johnson proved that assessment to be correct just a few hours later. His later comments would only confirm this notion that Magic didn’t really seem to want the job all that much anyway. Of course, considering the Lakers are almost certainly about to fire head coach Luke Walton and his staff, it’s hard not to read into the timing of Johnson’s decision as well. And by stepping away right before he would have been the face of that decision implies Magic really, really hated the notion that he’d have to be the bad guy one more time. More to come on this shocker and the aftereffects that the Lakers franchise are sure to be feeling all offseason.